Glendale, Calif.-based Alchemy Engine launched a Kickstarter campaign today in support of Book of Mojo, a gritty yet humorous animated web series that blends the darker tone of ​ The Dark Knight and the humor and morality of ​Avatar: The Last Airbender. Alchemy Engine is a team of 25 past employees of major studios such as Pixar Animation Studio, Dreamworks Animation and Blue Sky Studios that banded together to produce compelling young-adult content with a propensity for creative risks. 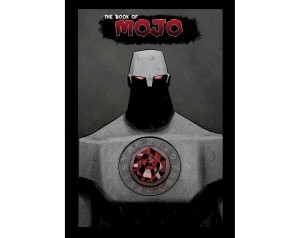 Set in the tough city streets of an urban fantasy world, Book of Mojo follows the exploits of a strong female, ethnic runaway named Creepy and her partner, Mojo, a seven foot tall enchanted statue. The deep, multi-faceted nature of the characters allow for the daring yet humorous storytelling, while weaving responsibility as a theme throughout the show.